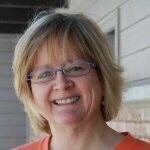 Carla W. Garner is an independent researcher in Barrington, Illinois. She has a BA in English from Northwestern University and an MLIS from San Jose State University. The Racine, Wisconsin native has worked in the private sector for Bose Corporation, Heritage Wisconsin Corporation, and the Metropolitan Milwaukee Association of Commerce. Her research has looked at information exchange among farm women, librarianship during the Depression, and library development in the rural Midwest.